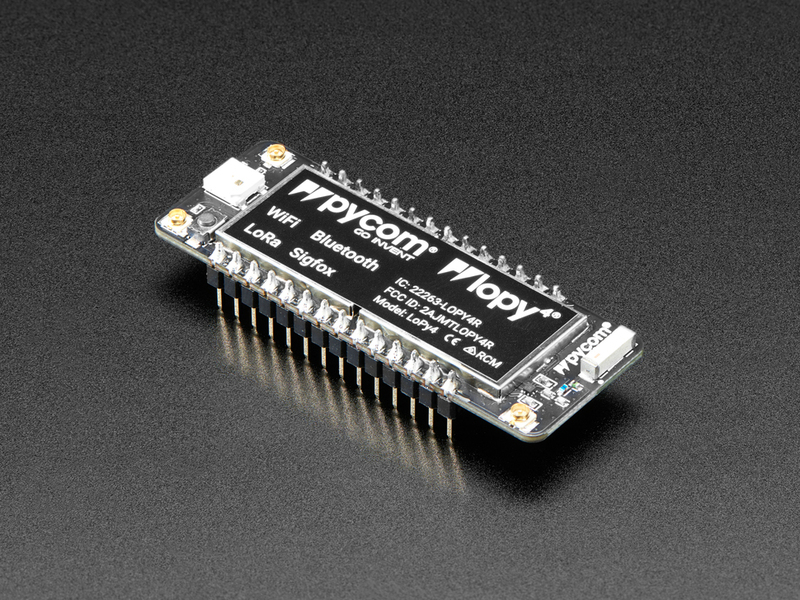 With so many connectivity options, Pycom's LoPy4 is a lot like an amazing, multi-course brunch. 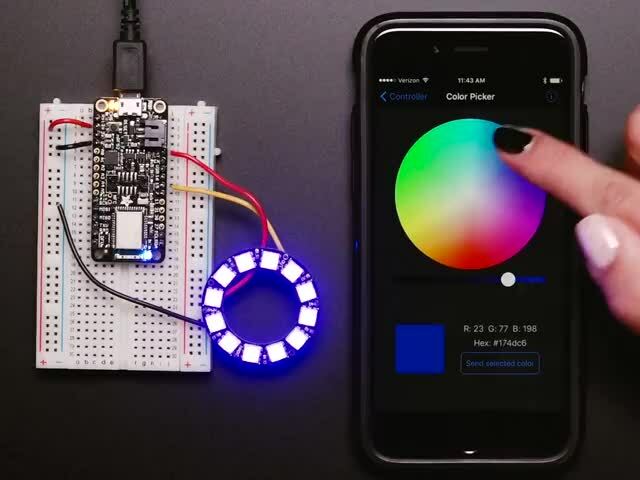 You've got LoRa playing your favorite morning public access radio station, WiFi talking to your smart coffee maker, SigFox and cream cheese on a bagel, and a baker's dozen of Bluetooth muffins-- I mean, blueberry muffins! 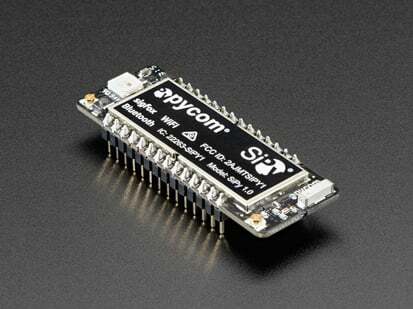 Comes with just the dev board. 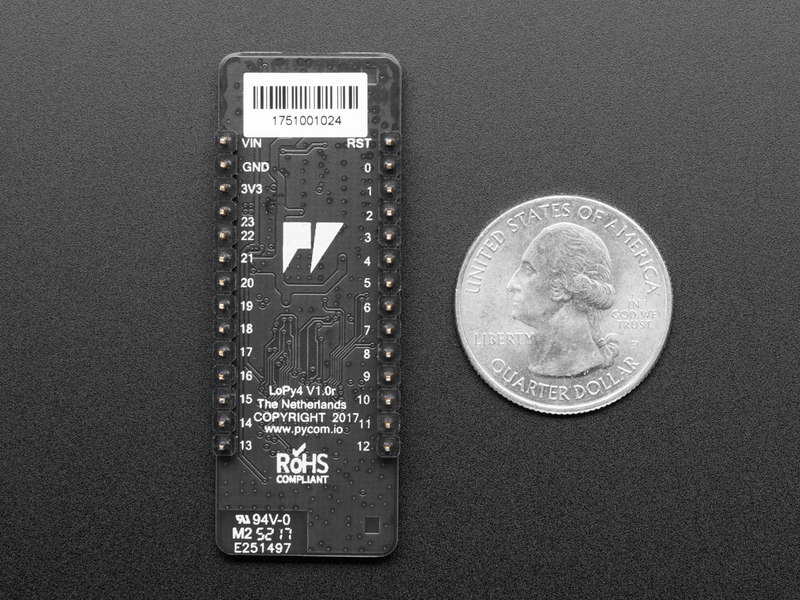 You'll need an antenna for LoRa/SigFox, using LoRa/SigFox without an antenna can damage the board! 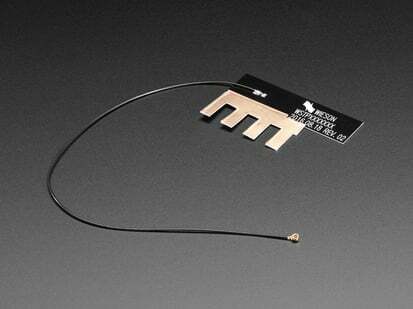 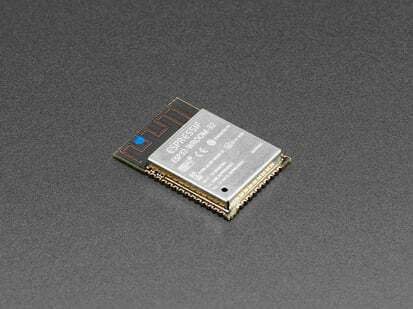 An external antenna is recommended for WiFi/BLE (which has a ceramic antenna built in). 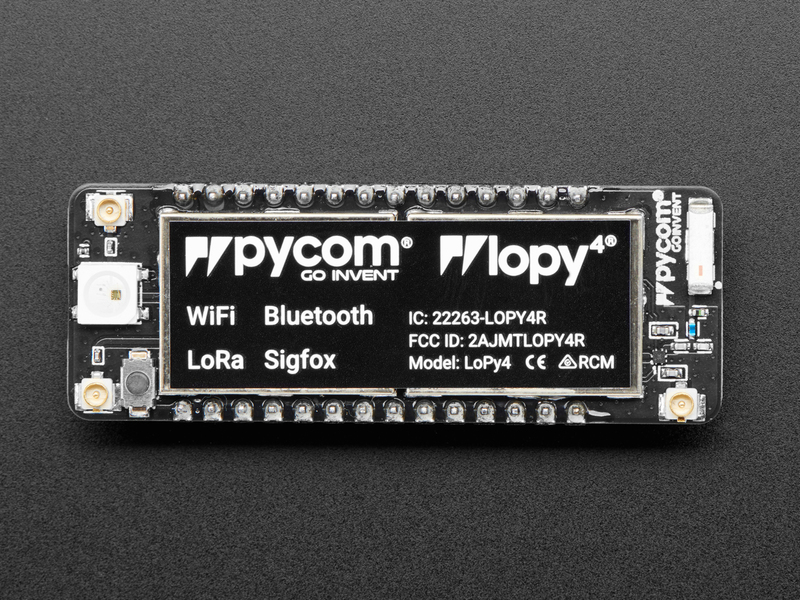 LoPy4 includes 2 years of Sigfox connectivity. 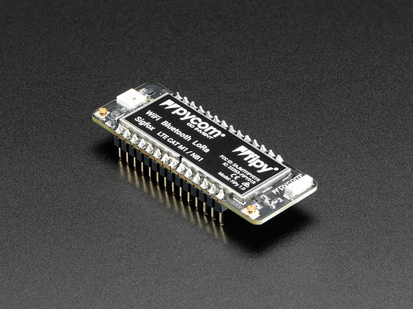 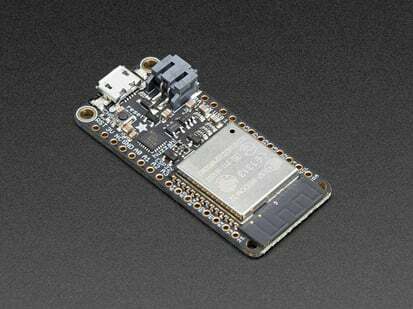 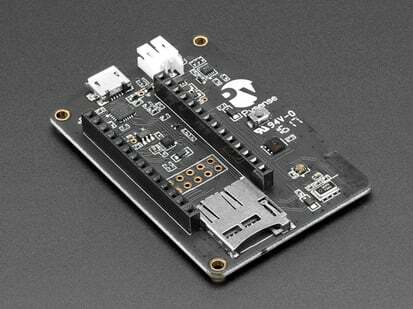 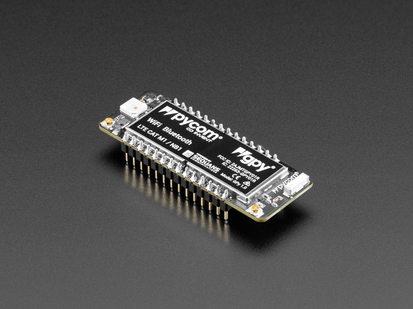 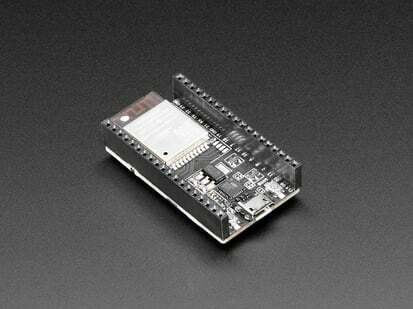 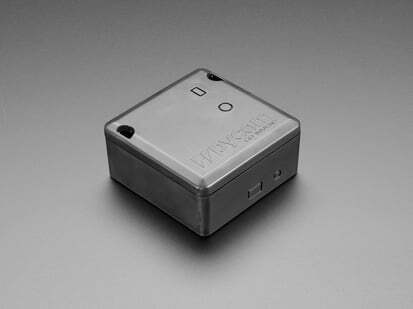 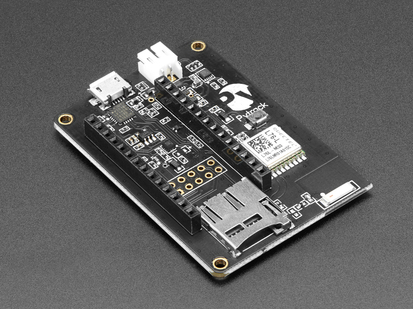 Note: If you want to connect LoPy4 via USB to your computer, you will also need either the Expansion Board 2.0, Pysense or Pytrack.